Easy to build scale model of a great sounding rocket. Gives top performance in flight after flight. 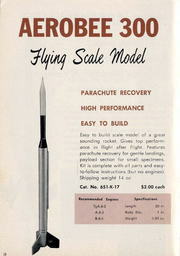 Features parachute recovery for gentle landings, payload section for small specimens. Kit is complete with all parts and easy to follow instructions (but no engines).